There was a time in the past when the option for genuine Halal sweets was seriously restricted to a small range limited to the local corner shop. As children, how often were we left disappointed to learn from our parents that the sweets we’d just bought, with whatever little pocket money we had available, was either doubtful or Haram? Today all that’s changed! Thanks to both the internet, the country’s much-improved delivery service, and, most importantly, the setup of online Halal confectionery companies that deliver your favourites straight to your door, things couldn’t be easier. 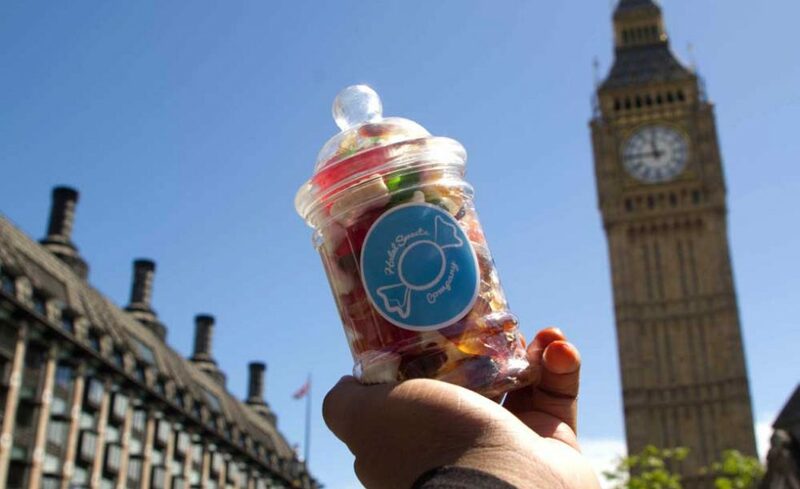 And to make things simplicity itself, we’ve collated a Top 5 list of the country’s leading Halal sweet companies starting with the aptly named Halal Sweets Company! 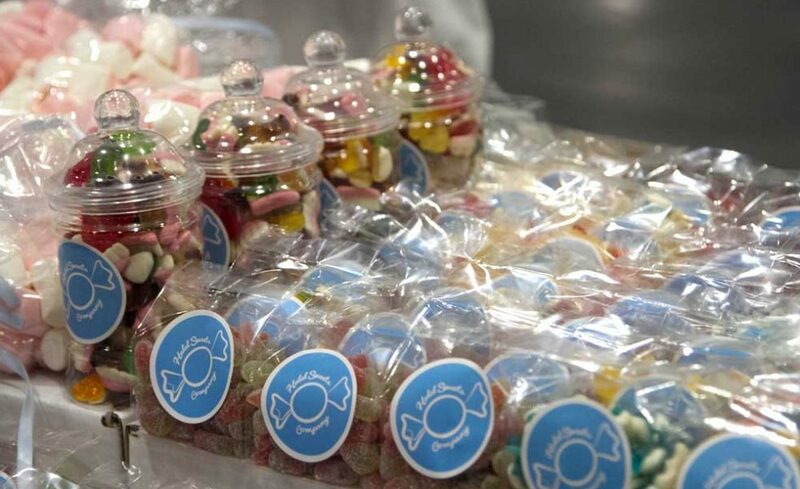 Halal Sweets Company is one of the UK’s leading Halal confectionery retail sites offering an ever expanding collection of fully Halal products in 37 different flavours and types. Giant Jars – Starting at just £7.99, these are meant to make things easy for sweet lovers to stock up on their favourites. Gift Jars – Available in two sizes and a range of flavours. Sweet Bags – The humble sweet bags. Sweet Jars – Dainty plastic containers filled to the brim. Hampers – Cute hampers guaranteed to put a big smile on anyone’s face. Sweet Boxes – Extra special bespoke sweet boxes, available in medium and large, that can be personalised with a message. Sweet Cones – Stylish cones finished with premium silk ribbon in a range of colours, and available in small, medium and large. Not only do they provide a speedy and reliable country-wide delivery service, but more impressively ship internationally too. But what really sets them apart is their innovative and highly novel incentive programme called Candy Coins. By setting up an account (“sign up today and get 50 coins completely free“), customers are rewarded five Candy Coins for every £1 spent, can keep track of the number of coins collected, and redeem them with any purchase whenever they choose. Furthermore, special deals are frequently offered to allow customers the chance to earn extra Candy Coins. Halal Sweets Company even provide a Halal Sweet Cart hiring service that comes in four different packages, ranging from Bronze for £89 that’s ideal meant for small parties with 40 guests, to Platinum for £149 which is meant for cooperate events for as many as 100 attendees. For more info on this leading Halal confectionary brand, see their “Story so far…” below. Simply quote “FTL” at checkout! Heavenly Delights’ aim is to provide consumers with the best quality confectionery whilst ensuring that they we use the finest 100% Halal ingredients. 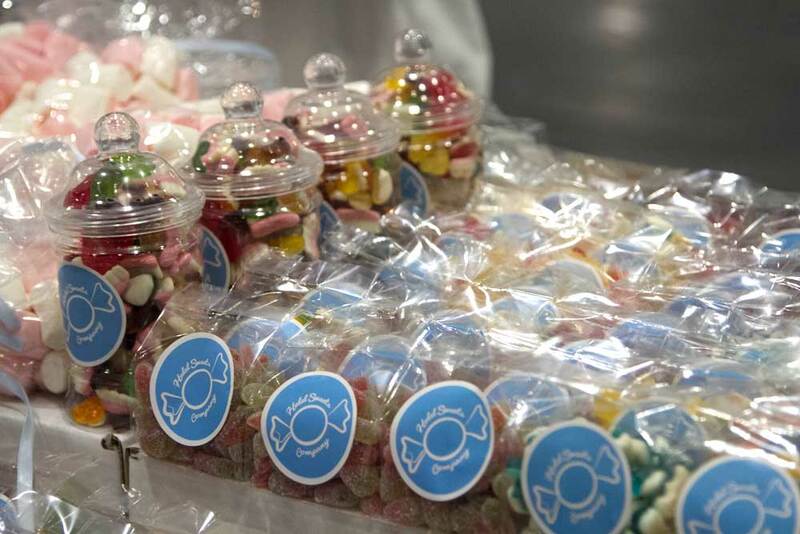 It claims to be “the first Halal Confectionery brand to be fully certified by HMC (Halal Monitoring Committee)”. 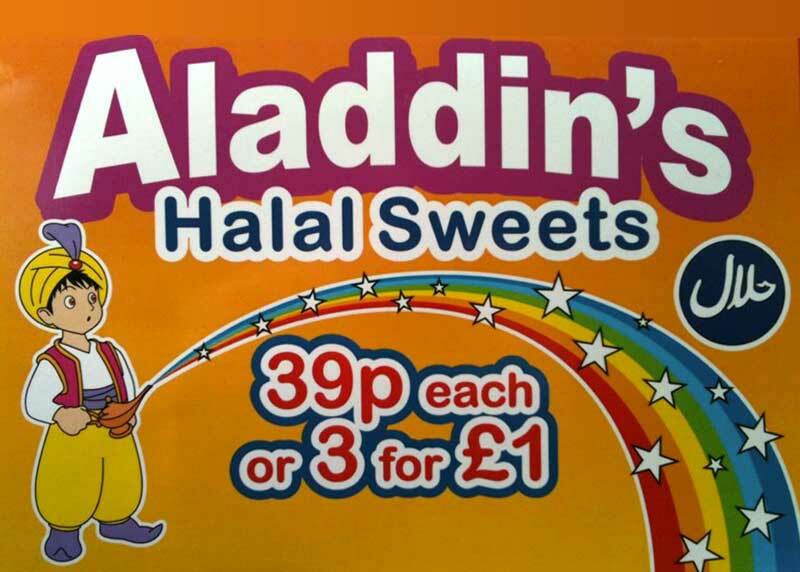 Based in the West Midlands Aladdin’s Halal Sweets supplies over 3,000 independent shops. 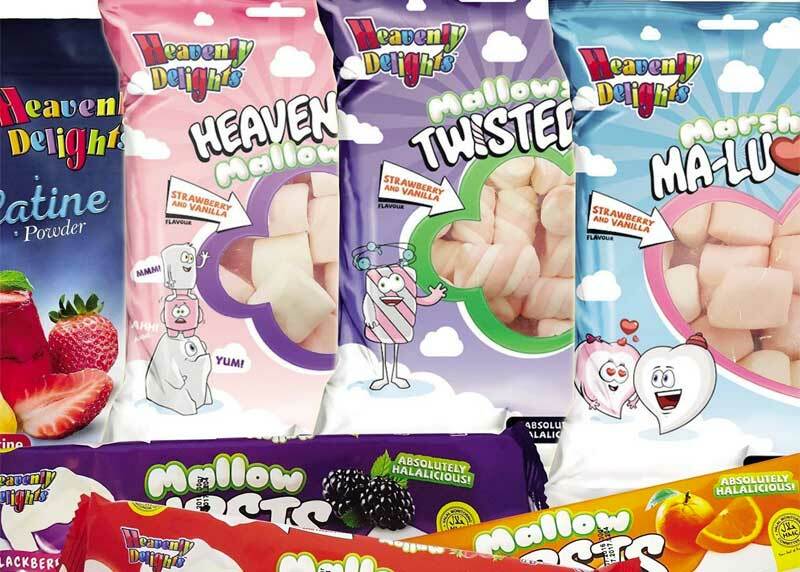 It sells over 30 Halal product lines including Halal marshmallows, Halal fruit chews and Halal Lucky bags. 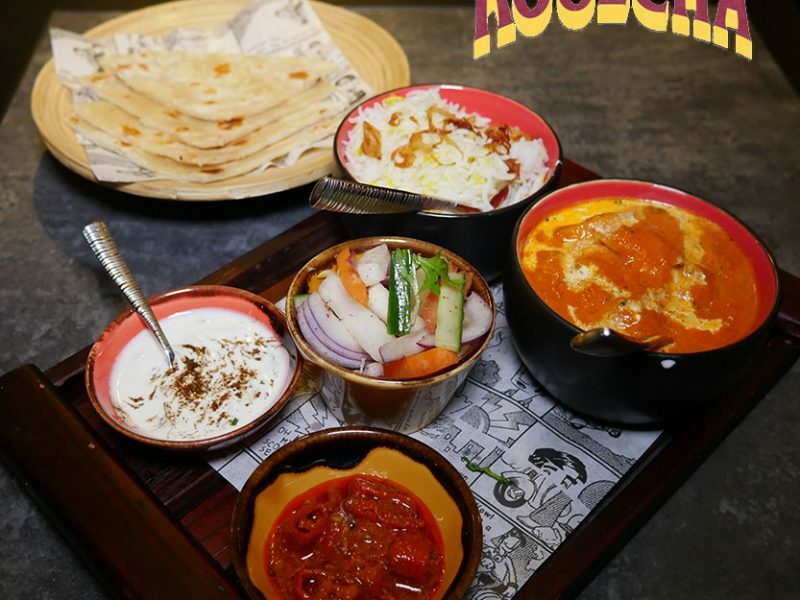 Salahuddin’s Sweets is a sweet provider that aims at ensuring that all their products are 100% Halal, made in a nut free factory and sold in packaging with the customer in mind. Both orders and packaging can be customised. 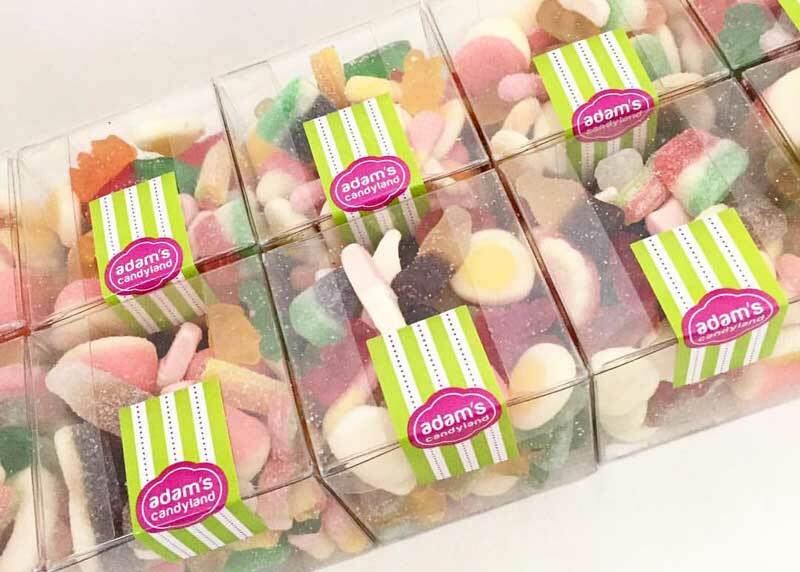 Specialising in HMC-approved Halal sweets and vegetarian sweets, Adam’s Candy Land is an online sweet shop that offers a wide range of pick ‘n’ Mix sweets, in addition to a quirky selection of pre-packed jars, cubes and cones. 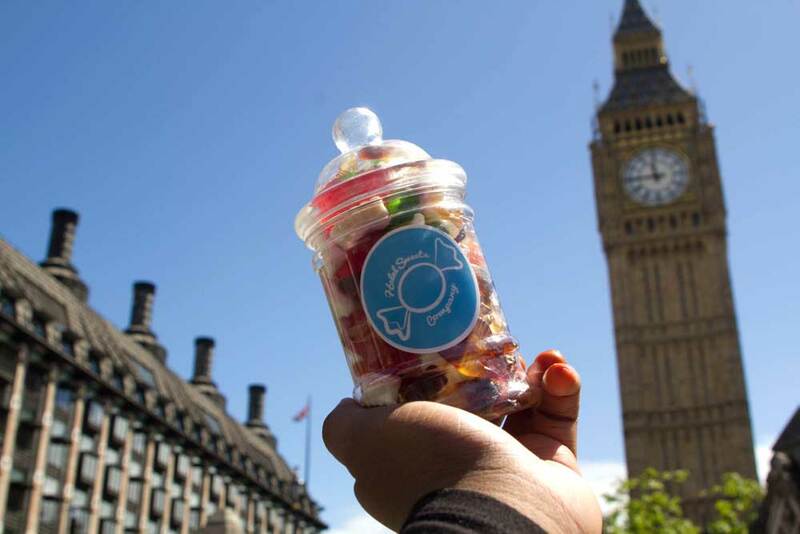 Halal Sweets Company – Satisfy your Sweet Tooth! 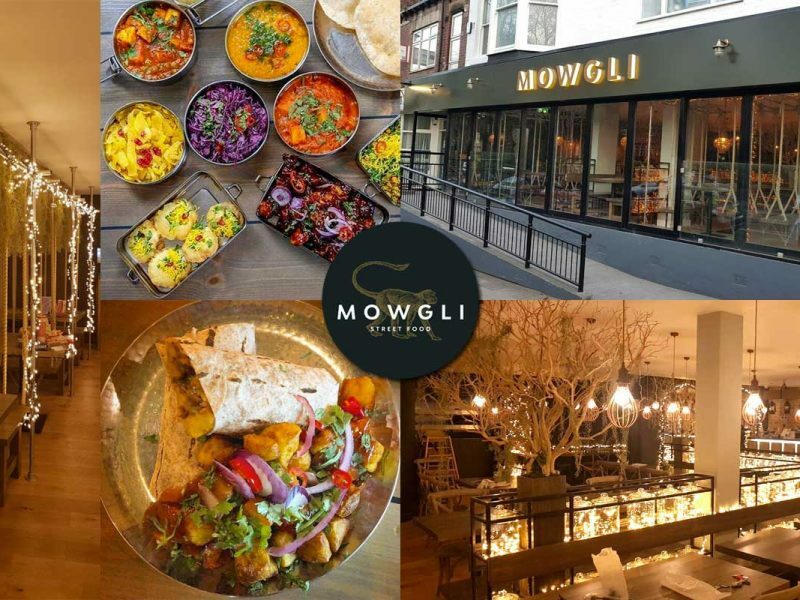 Discover our full range of scrumptious Halal Sweets. Squidgy, Soft, Sour and Sweet; we’ve got it all in a variety of shapes and sizes. Seeing as a lot of you have your own favourite flavour, we’ve decided to make it easy for you to stock up, with our Giant Jars of Sweets. Our online Sweets Shop simply wouldn’t be complete without our renowned Gift Jars filled with our tasty sweets. Available in 2 sizes and a range of flavours. The humble Halal Sweet Bags; the product that has been with us since day one. In fact, it’s the first product that we ever put on our website. To this day, we still sell thousands of these bags. So you’ve got a sweet tooth? 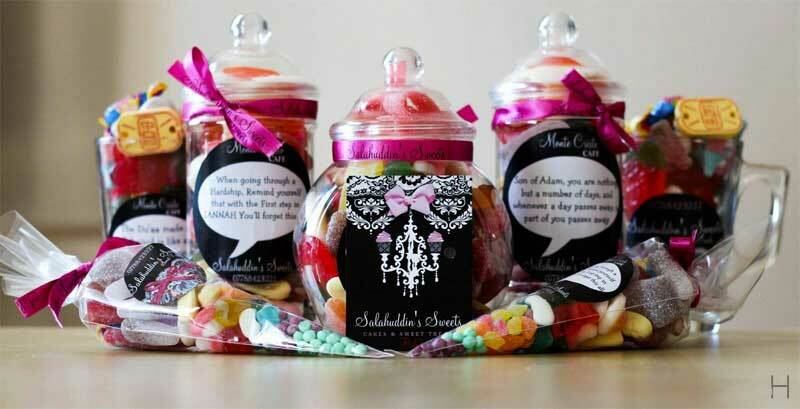 Our Halal Sweet Jars will do the trick.Take a look at our Jars, filled to the brim with the finest Halal Sweets. The newest product to be added to our ever expanding collection; hampers. 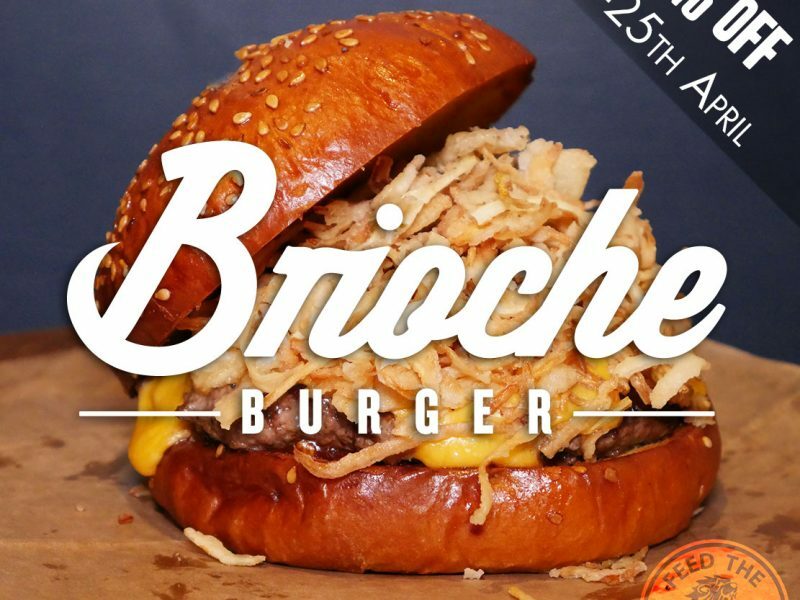 They are guaranteed to put a big smile on anyone’s face! We think presentation is one of the most important elements when it comes to gifts. And so, our sweet box was born. 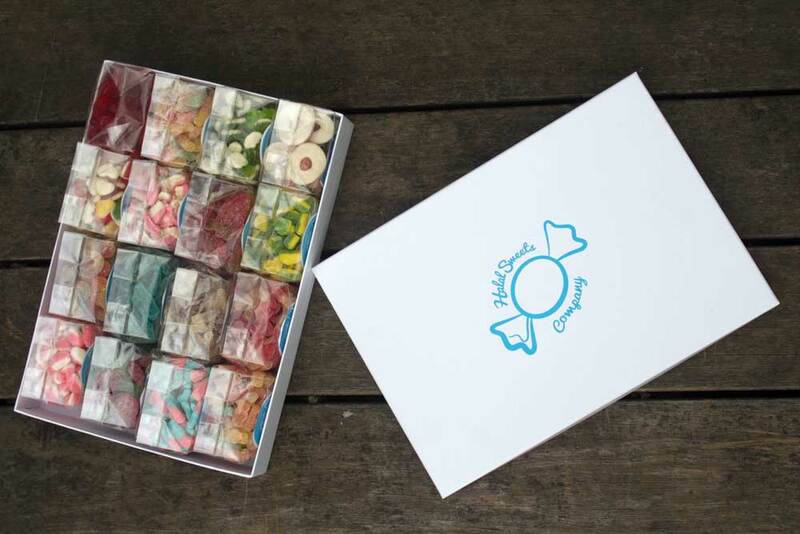 We offer both medium and large versions of the Sweet Box which can be personalised with your message as well as the ability to select which sweets go inside. Delicious Sweet Cones available in small, medium and large. We offer a huge variety of flavours packaged in a stylish cone and finished with premium silk ribbon in a range of colours. Bulk discounts are also available on our cones. Candy Coins – sign up today and get 50 coins completely free! Reward yourself by collecting Candy Coins each time you shop at Halal Sweets Company. Simply create an account to begin collecting Candy Coins; it’s as simple as that! Every time you purchase something on our website, you’ll automatically start to collect 5 Candy Coin for every £1 you spend. You can then spend these points whenever you wish. You will be able to keep track of how many points you have on your account dashboard. Sponsored by Halal Sweets Company.